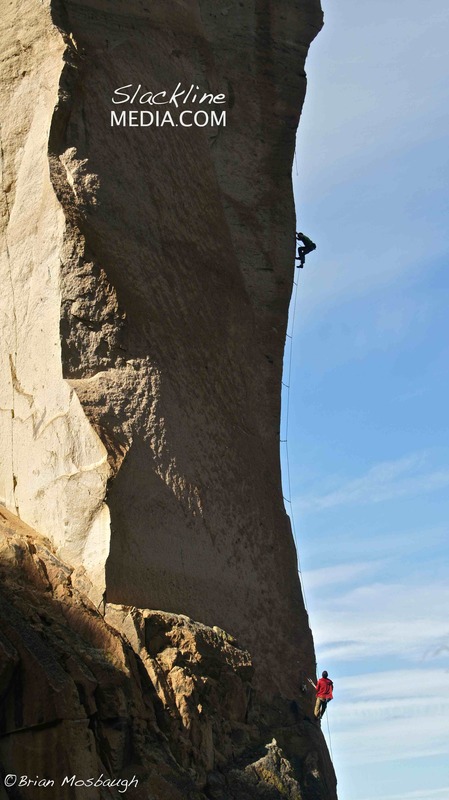 Climbing is without a doubt an essential part of highlining, BASE jumping or playing in the mountains. One of the primary challenges with all these pursuits is accessing hard to reach environments where we can challenge ourselves, and for some athletes the climb is both the means and the end. In this post, I’d like to examine a pair of adventure seekers who’ve found themselves maniacally devoting their energy and time to the vertical ascent in all types of environments around the world. Ranging from the alpine mountains of Patagonia to the legendary big walls of Yosemite, both Brad Gobright and Scott Bennett are elite rock climbers who are chasing their dreams on scary routes, ascending big wall classics (sometimes without ropes) and smashing speed record link ups everywhere they go. Brad Gobright hugs tight on The Backbone (5.13a) of the Monkey. I first met Brad many years ago, while climbing in Joshua Tree and the Sierra Nevada mountain range of California. 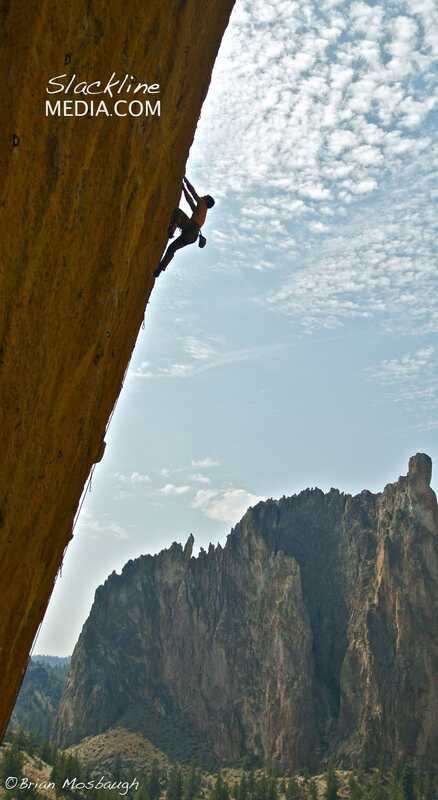 He initially came off as your average dirtbag climber nomadically seeking out hard rock routes. His very unassuming presence, goofy personality and pastry focused diet made Brad seem a pretty average but quirky guy in this community. After spending many months trading belays and witnessing his graceful finesse on the rock, it was obvious there was something special about his gifts. Brad absolutely lives for the experience to climb on rock, he is obsessed. He also likes to climb without a rope, quite a lot actually, sometimes free-soloing several thousand feet on very technical terrain with calm and cool demeanor. Despite his young age, every move he makes reflects decades of rock climbing experience in the body of a young determined man. His confidence and skill in the vertical world make it obvious he’s been going up his whole life, which he pretty much has been since his infancy. 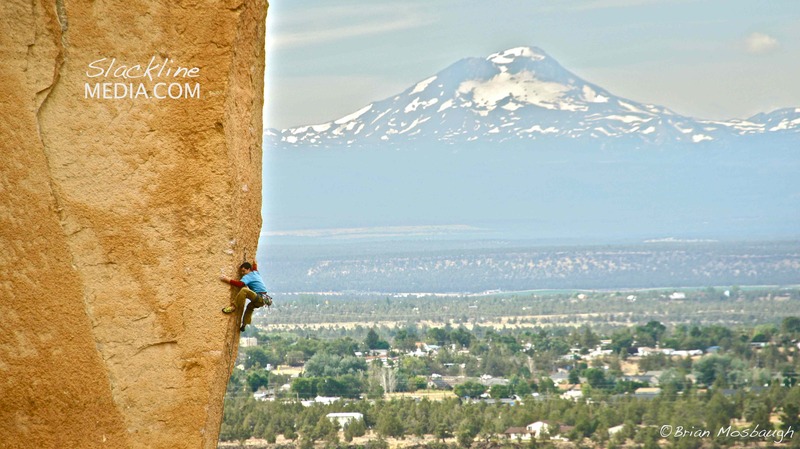 Examining the impressive resume of climbing achievements in his short 25 years of life, and his prowess as a well rounded athlete and committed climber is inspiring beyond words. As is the case with many climbers, Brad tends to fly under the radar of mainstream publicity living out of a small hatchback Civic traversing the country and living in Yosemite to work on first ascents and big wall projects. He is driven by a fearless psyche, which I can only try to comprehend, always surrounding himself with the best climbers in the world who add to the stoke of his internal fire. 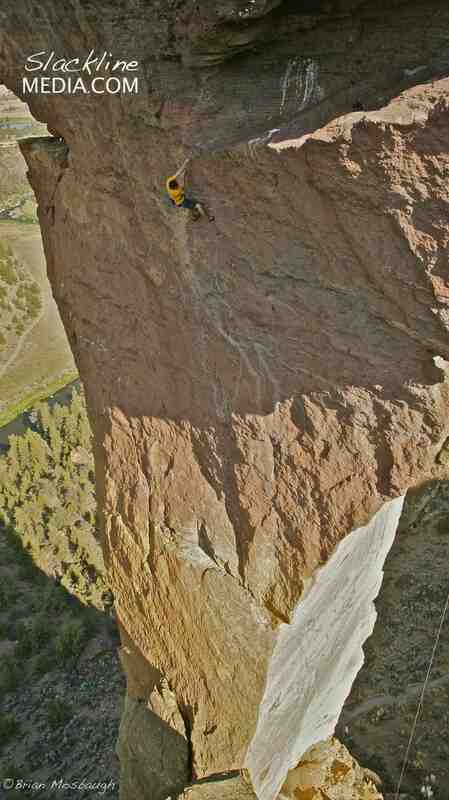 Scott Bennett with his on-sight lead on The North Face (5.12a) of the Monkey Face, a 200 foot stretcher in length. Scott Bennett is one of his many incredible climbing partners, who also quietly boasts an adventurous and experienced background. He’s been published in climbing media for his alpine achievements and speedy ascents which all require a good set of lungs and endurance. His energy level seems to never fade or falter, sometimes going for long runs at the end of a very hard day of climbing to train. Some professional athletes appear to be either motivated by fame or fortune, but in the world of rock climbing very few ever achieve this type of recognition. The lifestyle of being a dirtbag isn’t “popular” so to speak and for that reason it attracts a certain type of person committed to their discipline for intrinsic reasons. This is why climbing remains a very pure and honest passion pursuit. Brad and Scott are an incredible duo when teamed up, fueled by shared dreams and goals of climbing longer, harder and more technical routes for the sake of improving their craft and pushing their limits. I met up with these two rock junkies back in the summer of 2011, as they were passing through Smith Rock State Park looking for hard sends to complete and new speed climbing records to shatter. Which is essentially, what they did… Both climbers, boldly on-sight free soloed the 3 amazing pitches of Zebra Zion in crisp cool summer conditions (read: very hot and undesirable temps), and got the red point sends of The Quickening 5.12d (for Scott) and The Backbone 5.13a (for Brad). 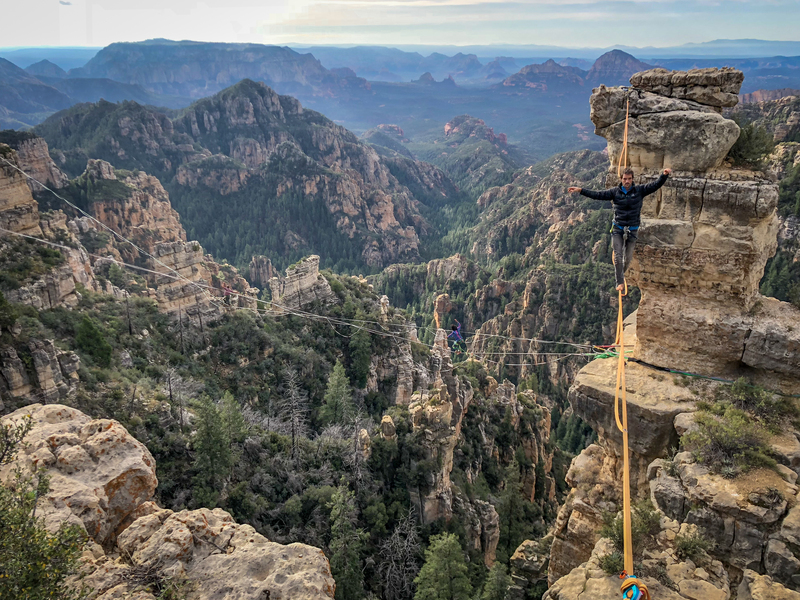 Of course many other feats were accomplished, such as Brad’s new speed solo ascent of the classic Monkey Face tower (over 300 feet of vertical gain) in an impressive 3.25 minutes, without a rope. Scott also established a new mixed endurance speed record of the “Monkey to Monkey” time in just under 22 minutes. This challenge was a mixed race of running and climbing, starting on the plastic monkey boulder from the Bivouac campground and ending atop the real Monkey Face in similar fashion as Brad. After crushing dozens of other routes in the park, these two set off on their respective paths to bigger projects in Yosemite and Patagonia. Much thanks to both gentleman for allowing me to capture and witness their impressive and life long passion of ascending rock. Here is some evidence of their accomplishments. Scott Bennett on the sharp end of The Backbone (5.13a). Brad Gobright nearing the top of The Backbone (5.13a). 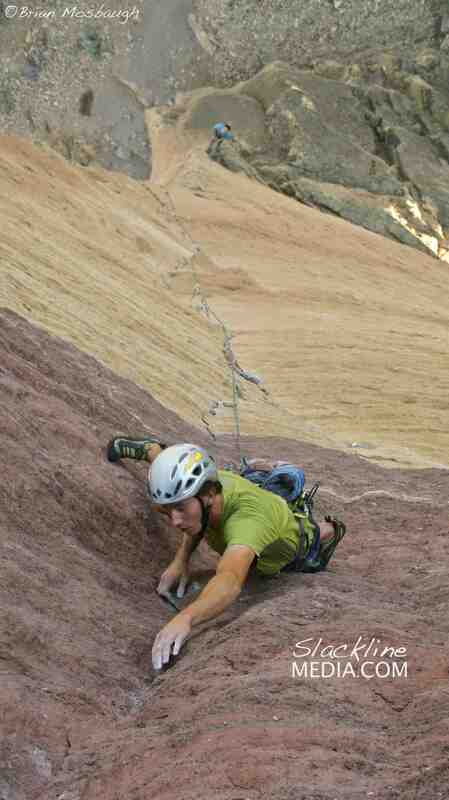 Brad Gobright working through the long overhung moves on Aggro Monkey (5.13b). 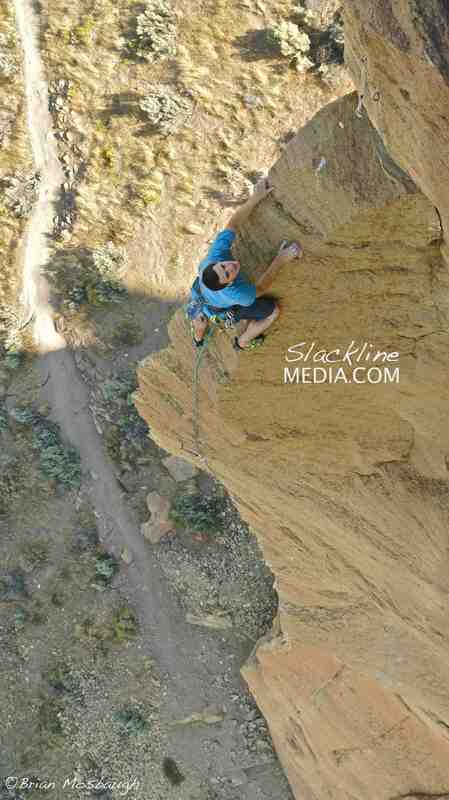 Brad Gobright setting the new standard of speed climbing the Monkey. 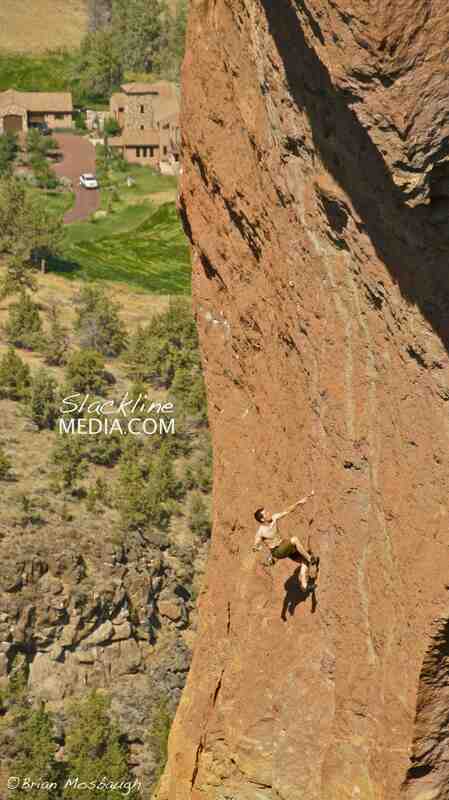 He was able to climb the 300 vertical feet of The Pioneers Route (without a rope) in 3.25 minutes. The time stands as the Monkey’s fastest ascent. Scott Bennett improving his speed solo ascent time on the Monkey, sans ropes.